We saw a lot of textured clothing for fall 2018. It came in the form of fuzzy coats and blazers, bunched up satin, faux fur, velvet, corduroy, and a bit too much synthetic and plastic looking materials, if you ask me. Velvet has been in for a while. The shiny plastic and other 80s reminiscent synthetic clothing aren't pieces I'd splurge on. 80s trends tends to pop up every few seasons and die out fairly quickly. Thankfully, textured clothing has a place in most seasons and is perfect for fall. Quilted jackets and corduroy skirts are some of my fall favs, so I’m not complaining! Sparkles and especially sequins were also all over the runways for this season. Even if it was just a bit of sequin cutout, most shows had some sort of glimmer included in their runway looks. And yes, cutouts are still very much in. Although we'll probably see more cutouts featuring different fabrics and accents rather than just skin or sheer. I know that is definitely something that some people are rejoicing in. But, be careful! An outfit mixing fabrics via cutouts can be easier to mess up than one where skin or sheer is all you have to deal with. There was a palpable western/prairie girl vibe in a lot of the runway shows. Western wear trending has its benefits, like cowboy boots, heavy cardigans, jeans, and some cool patterns. But, not all of us consider this a blessing. It’s hard to toe the line between a fashionable western style and looking like you belong at a rodeo, especially since sequins are big this season too. Luckily, you can rock the trend with just a denim skirt and corduroy or flannel shirt! You don’t need to go all hoedown to incorporate western styles into your day or night wear. 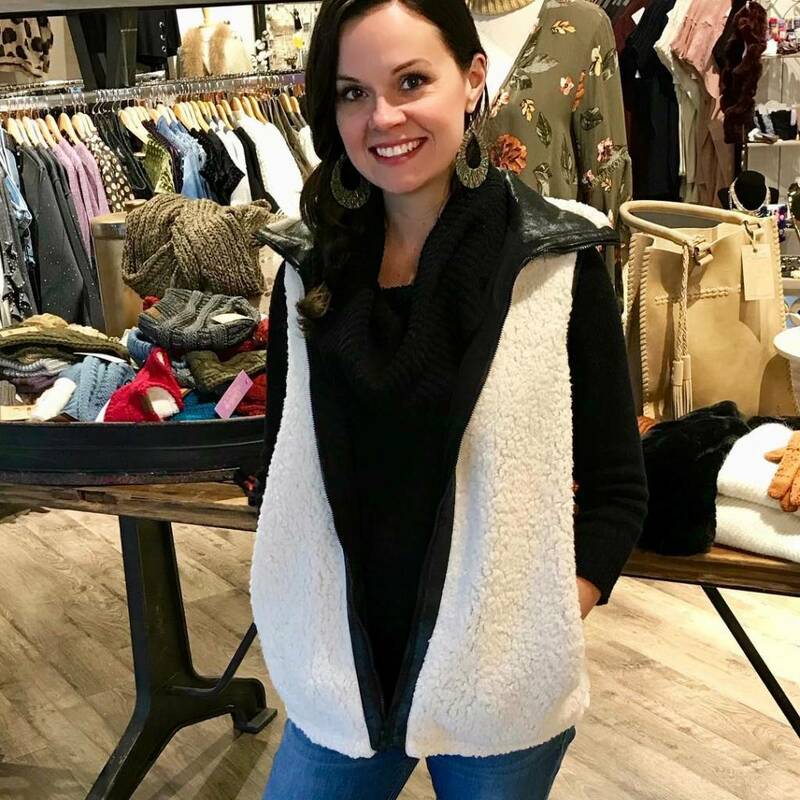 Modern cowboy boots, corduroy, denim, or even just adding a jacket, cardigan or coat you think has a western feel is an easy way to tone the trend down from prairie girl to fashionista! I won’t dive into the ins and outs of what the New York, Milan, London, and Paris runway show’s featured. Primarily because no one dresses like that on a day to day basis, and the only important factor is what’s going to show up in the stores you shop at or on the celebs you follow. I’ll spare y’all the details because they’re honestly are not that important. Sparkles and sequins are still in, so if you have them wear em’. If you don’t, get some into your wardrobe. Even one glittering piece will do the job! Plaid is also big this season, especially larger plaid patterns. We saw lots of pattern mixing on the runways, which is always fun. Midi skirts and dresses were all over. They’ve been slowly seeping into runways for a few years, but they’ve officially arrived as staples. They’re versatile and easy to wear, and if you’re worried about how to style them, stay tuned. There’ll be a blog post on that soon! Cutouts are still hot, but making them streetwear appropriate rather than just an awesome cocktail or party dress can be tricky. Stay tuned for how to wear the latest fashion trends for any and every occasion!